No matter where you want to go, your Lance Truck Camper will take you there. Imagine total freedom. In a camper that meets your needs ? fitting you like your favorite pair of jeans. A truck camper is like no other RV. 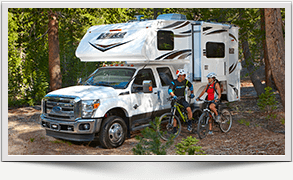 Unlike a motorhome, you build out your truck your way - whether a rugged 2 wheel drive or over the top 4 wheel drive set-up. Then you can choose the truck camper that matches your needs for livability. 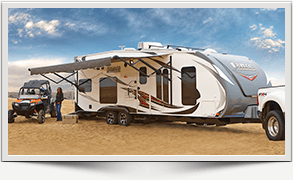 And unlike a motorhome, when you get to your destination, you can unload your camper and have your truck available to sight-see or do some great 4-wheeling! Do you really want to truly get away from it all? Well you can with the Lance 4 Seasons Certified option. You'll stay cooler in the heat, and remain toasty and safe down to below freezing temperatures. When your Lance Camper is equipped with the 4 Seasons All Weather Package, you'll be "extreme weather ready". So while other campers have their RVs in storage ? you'll be enjoying the wilderness all year round. 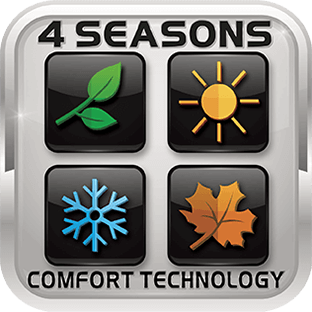 The 4 Seasons All Weather Package includes a dual-stage furnace, an advance ducting system to protect all systems, dual pane windows, a winterizing system and more. When considering the purchase of a camper, you want to look beneath the surface. Of course you'll discover stunning designer interiors that are both luxurious, yet practical and liveable. But it's the things you don't see like stainless fasteners that don't rust, Azdel eliminates wood from the walls along with rot and mold and construction of interiors with Lite-ply - the same wood used in corporate jets for a good look and light weight.